Mangalore cucumber/magge,magaluru southe in english, konkani and kannada respectively. 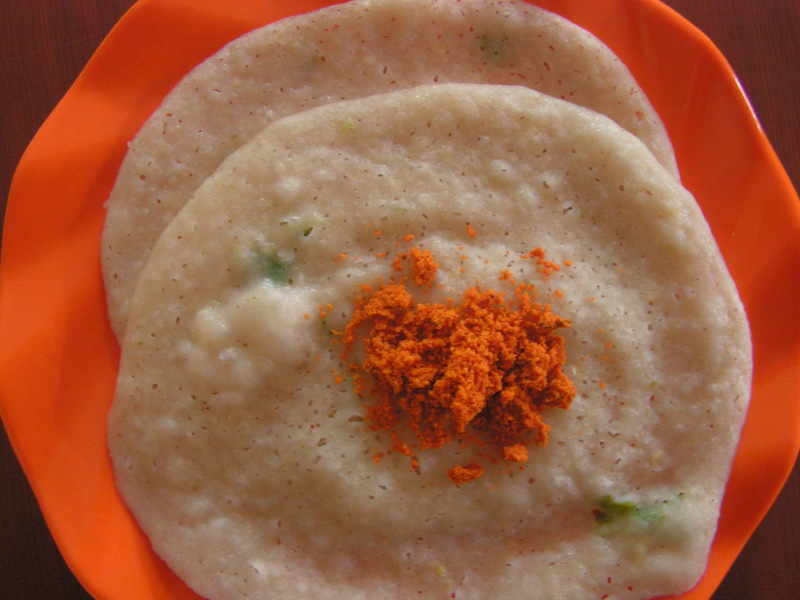 I have already put up Mangalore cucumber dosa, Alambe ambat with magge and today i would like to put up another dosa dish which happens to be a sweet and spicy dosa also called “Magge surnoli”. This is one of the favorited of the Gsb people. I have already put up “surnoli” on this blog a couple of years ago. It can be a dish for breakfast, lunch box and also tiff-in. 1. 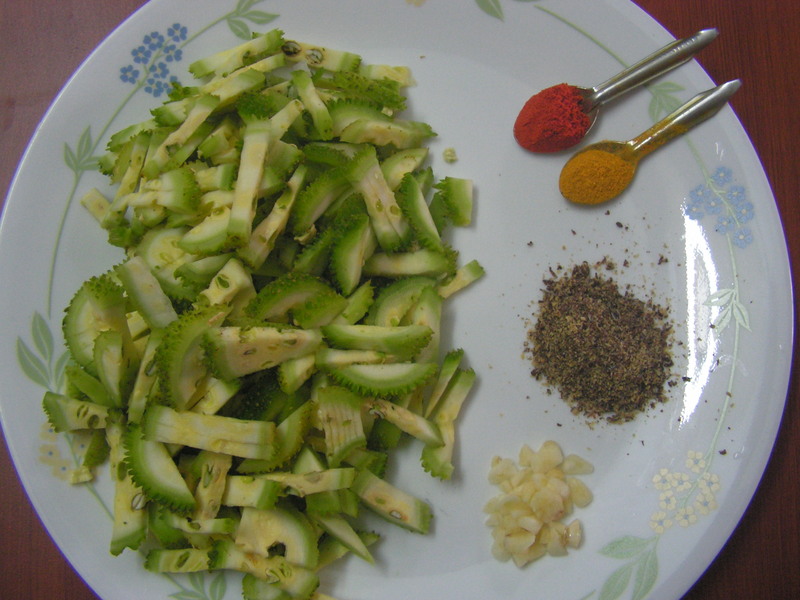 Wash, peal and grate Magge(Mangalore cucumber) after deseeding the same and keep it aside. 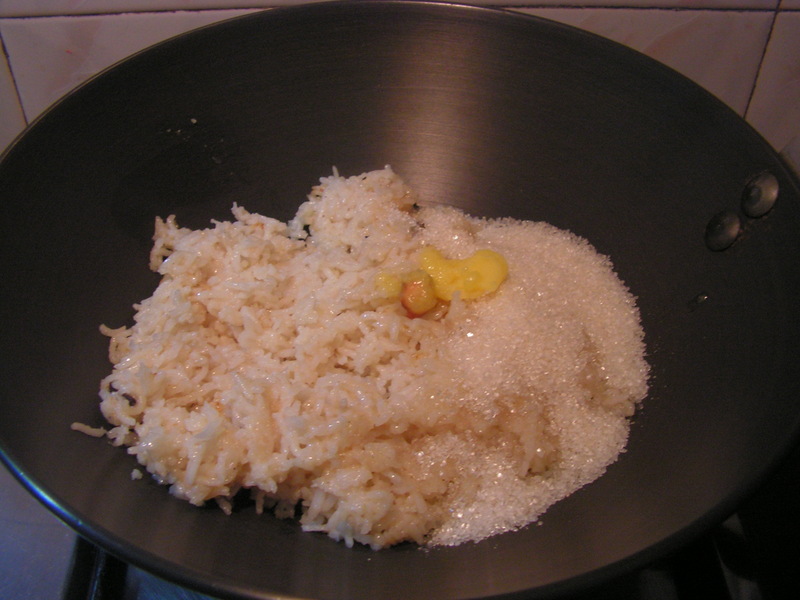 Soak raw rice in it adding water if needed so that rice should be soaked properly in it to turn soft to grind a little later. 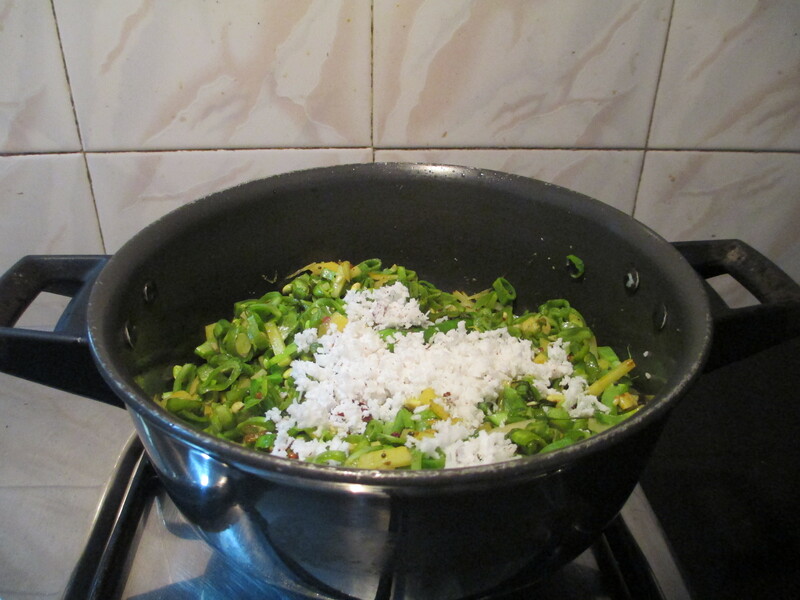 Add grated coconut as well to it and let it soak for about 3-4 hours. 3. 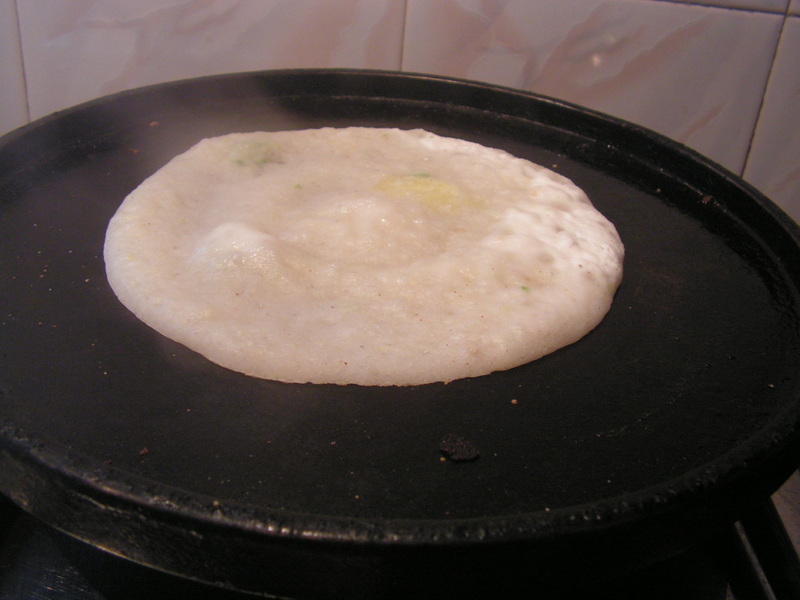 Place a dosa skillet on medium flame. 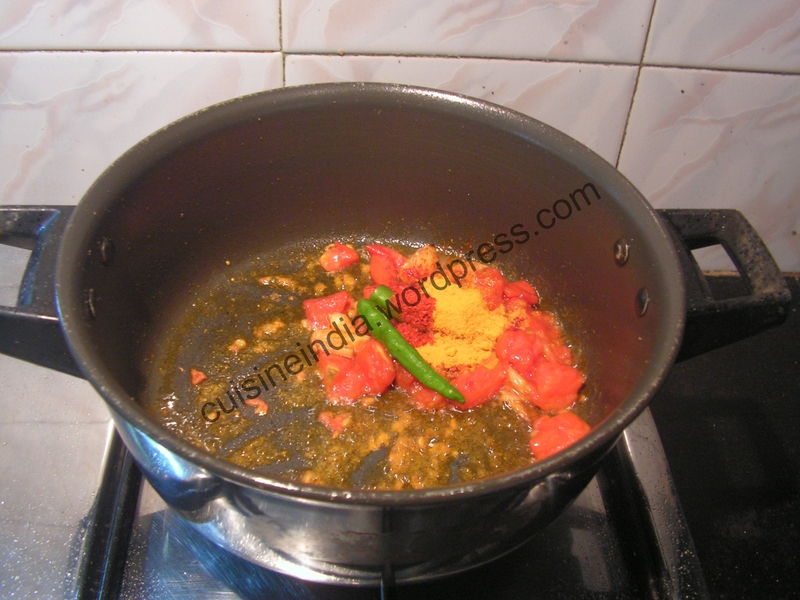 On heating splash a little oil/ghee on it and spread a ladle of the dough on it to a thick consistency and close it with a lid. 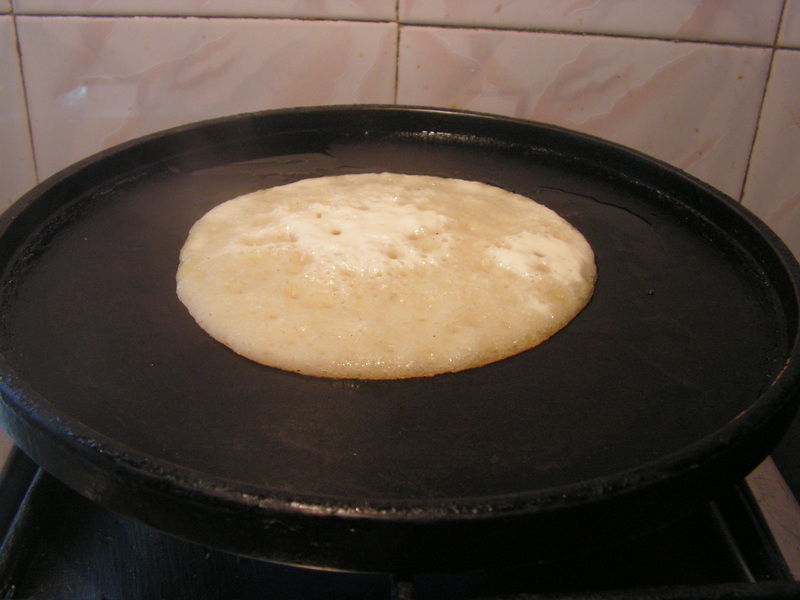 Holes are formed on the surface of the dosa and no need to flip and is to be cooked on medium/low flame only else it would burn the base of the dosa. 4. 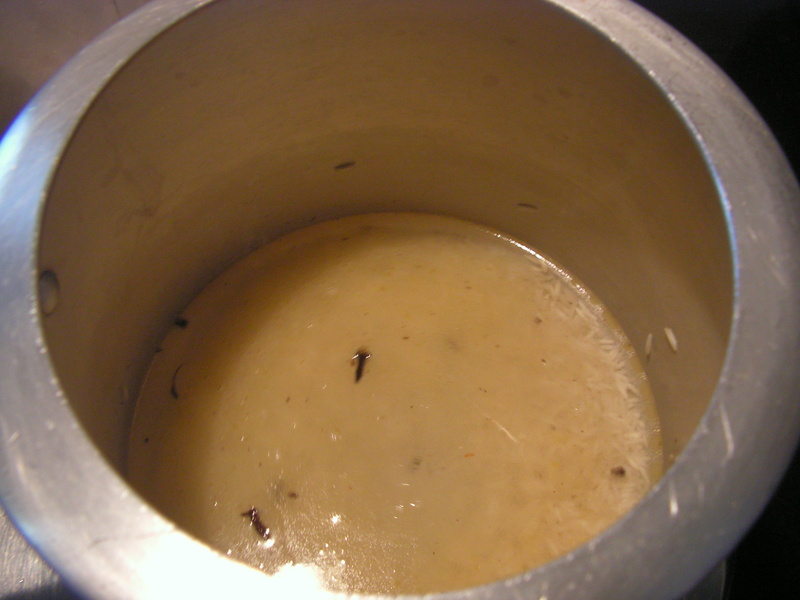 On the same skillet splash a little oil and wip it with a coconut coir or a soft tissue. 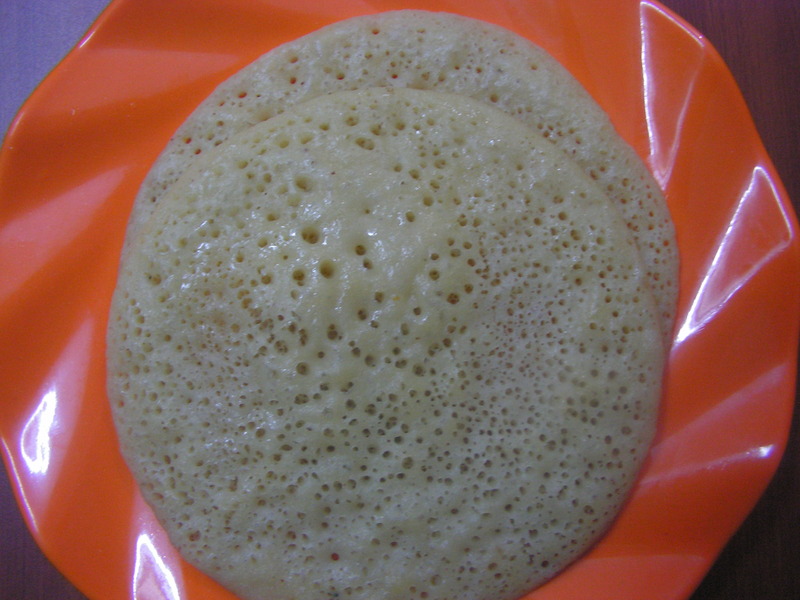 Splash water and later spread a ladle of the spicy dosa batter to the required thickness and like the sweet surnoli holes appear . No need to flip. 5. 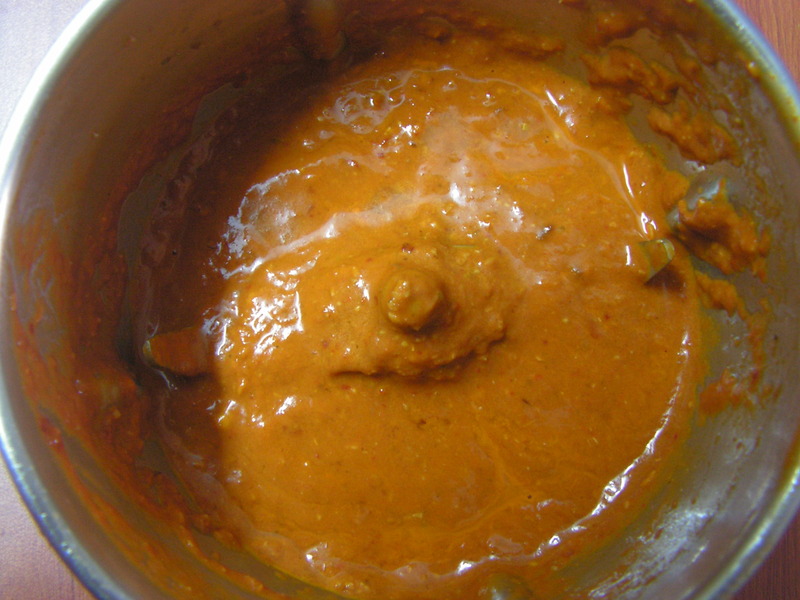 Serve with any chutney powder, ghee or even butter and pickle of your choice. 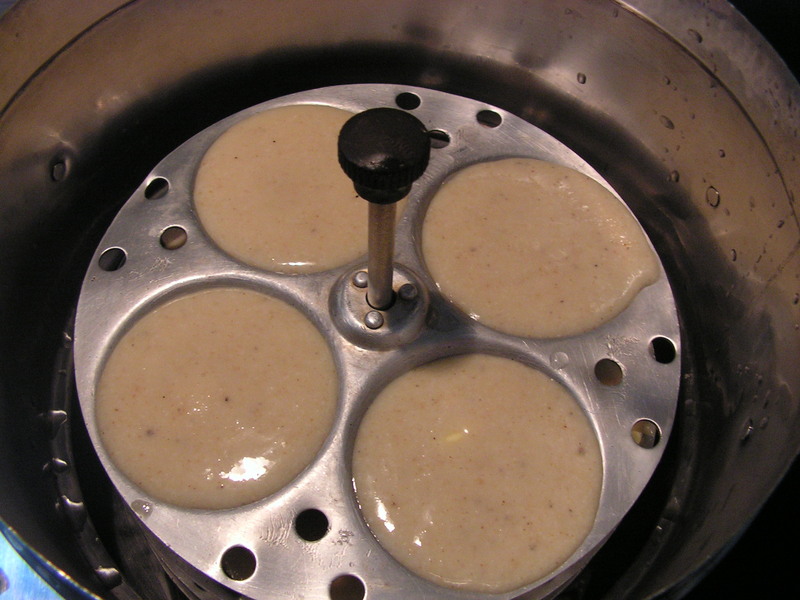 Serves :3-4 and makes – 10 dosa. 1. 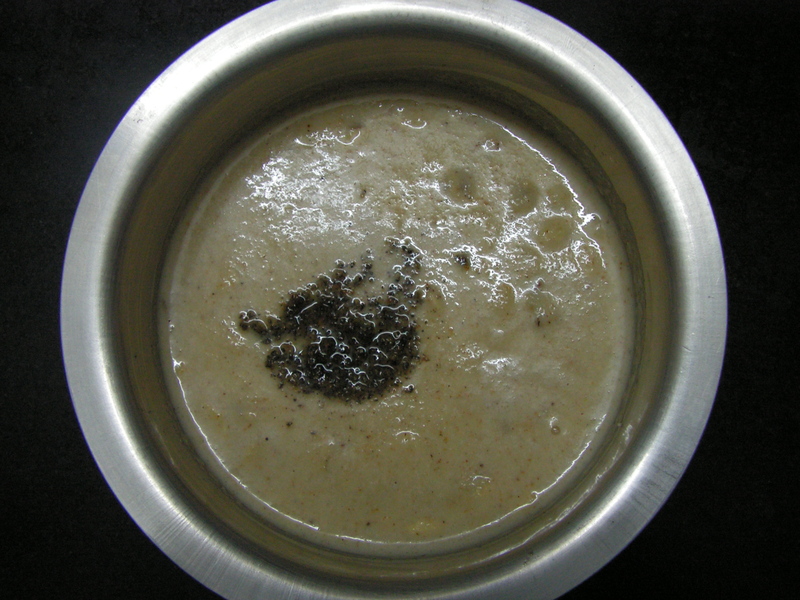 Use ripe Mangalore cucumber for the dosa. 3. 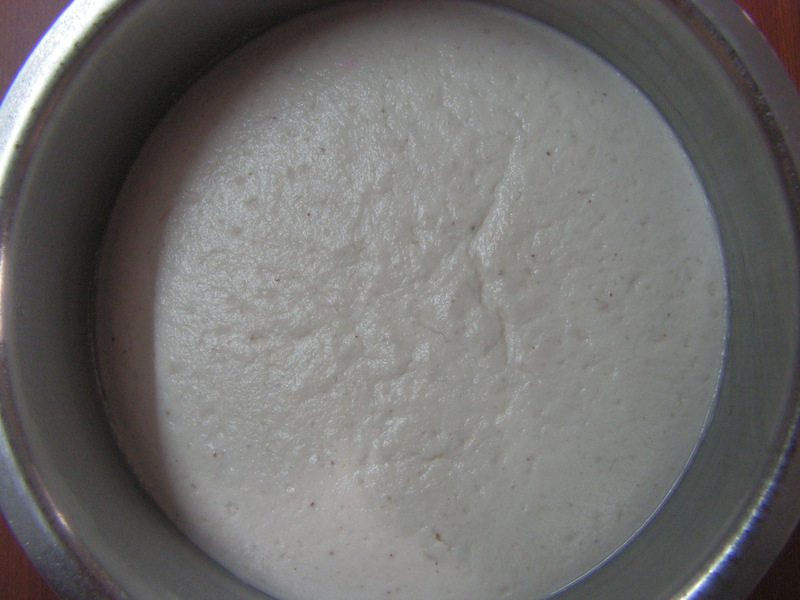 Fermenting is a must for this dosa . 4. 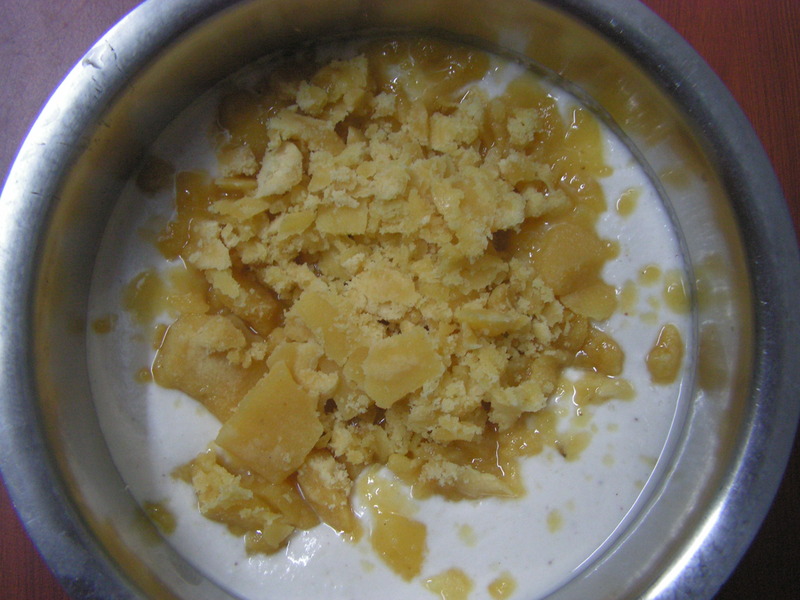 Use fresh jaggery as well to avoid it from getting the batter extra tangy. 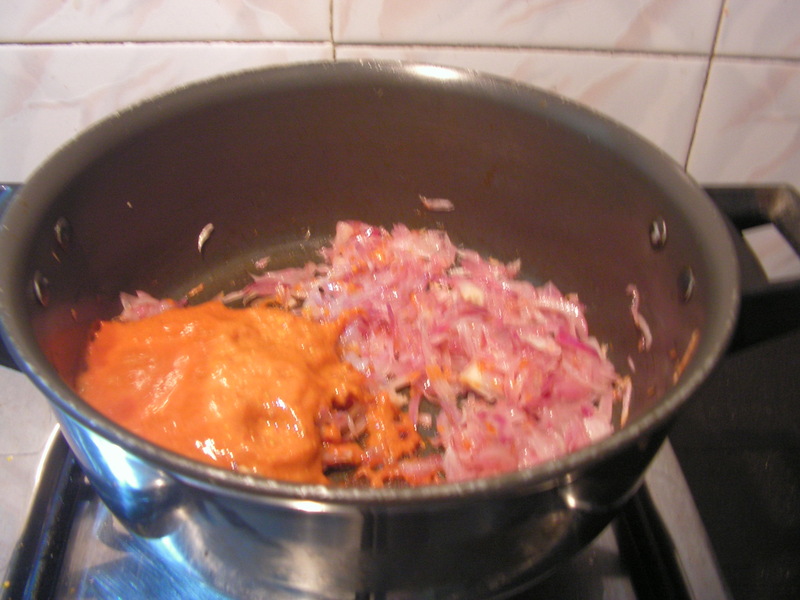 This entry was posted in Uncategorized and tagged Dosa hut, Konkani dishes. 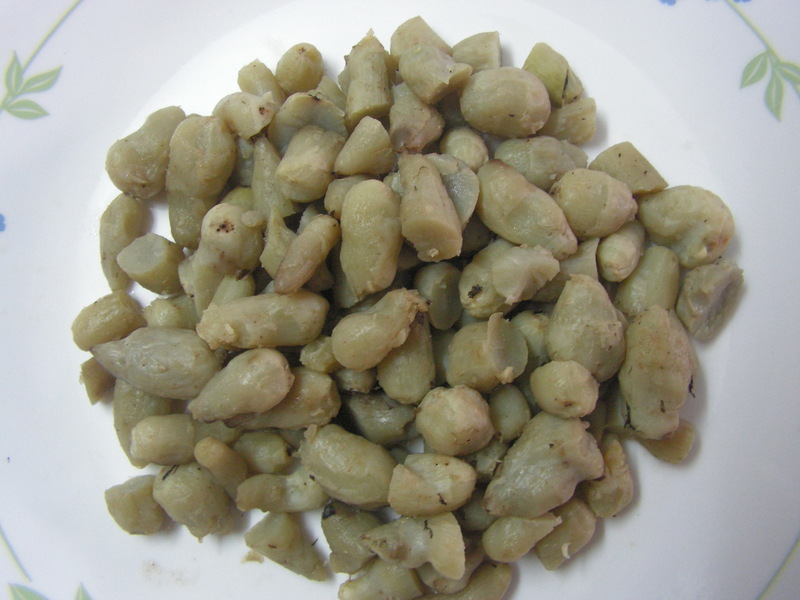 Broad beans/Chapparada avrekayi is available only for a couple of months in a year. 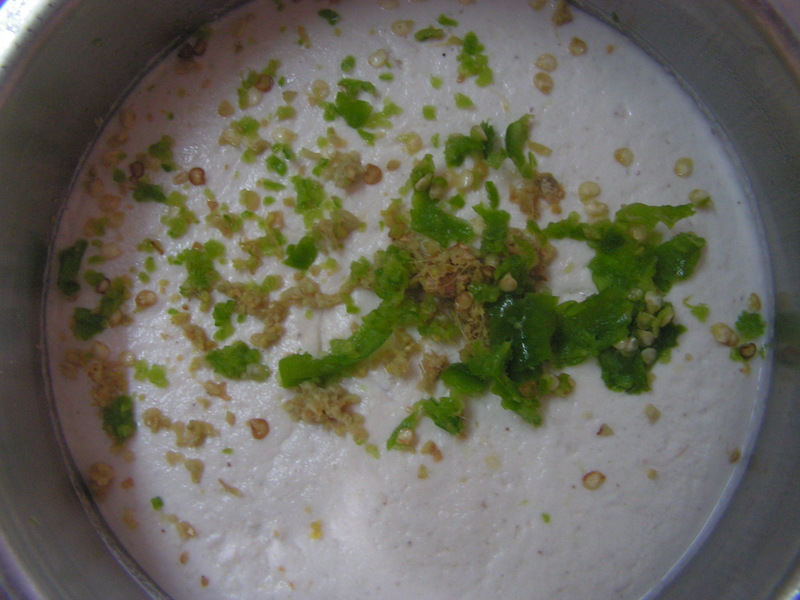 Though not very popular still i have relished it since my childhood days. Of course it is not as tasty as the french beans and the Long beans for sure and it is a little bland to taste too. 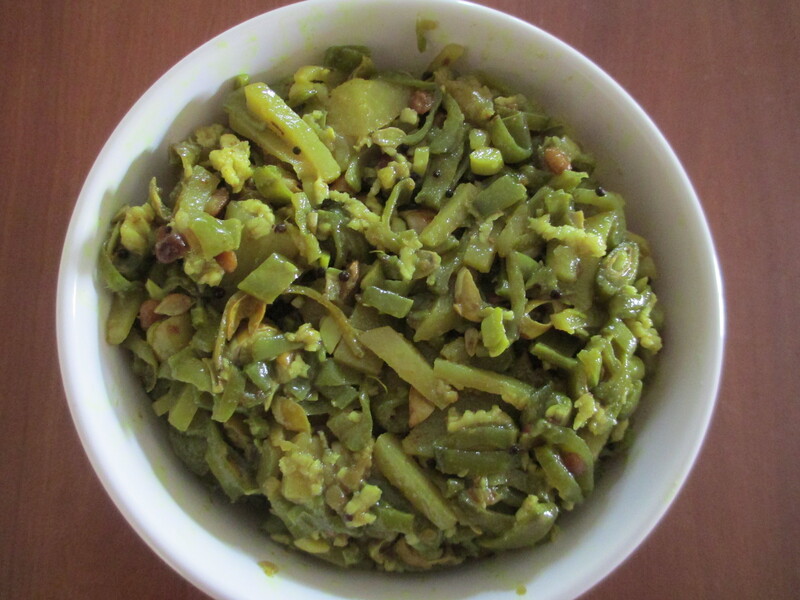 I have put up Broad beans dry curry on this blog a year back. 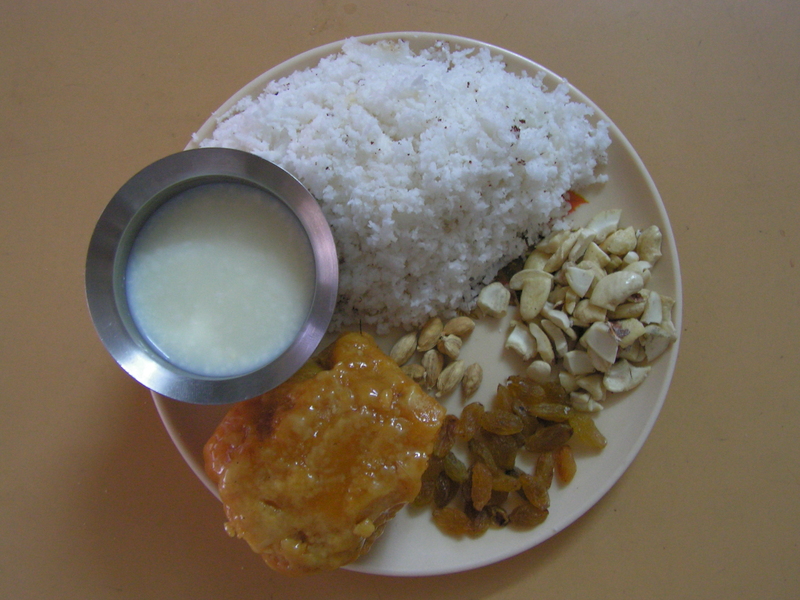 Today i would like to put up simple upkari which is a classic combination with rice and Toor dal Rasam. Here it goes!!!! 1. Wash and chop Broad beans fine. 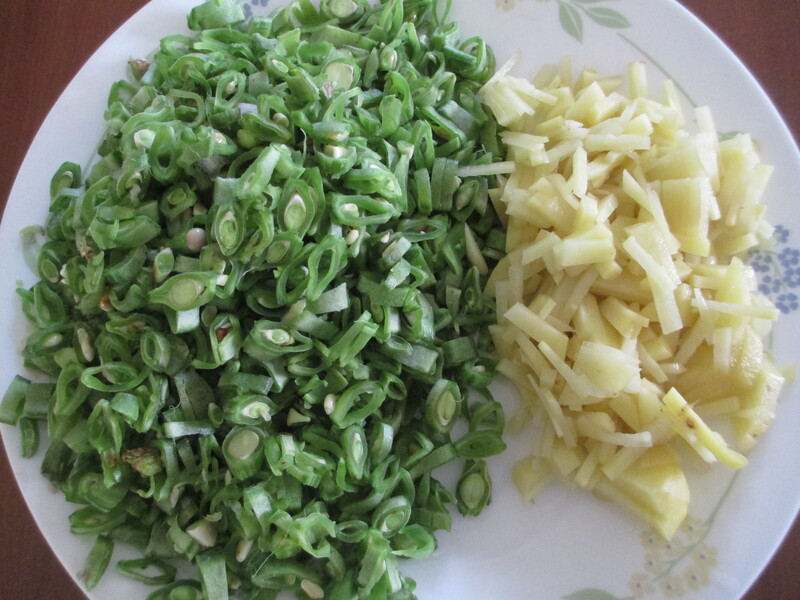 Also peal, wash and chop potatoes as well fine and keep it aside as shown in image-1. Wash and slit green chili and grate coconut as well. 2. 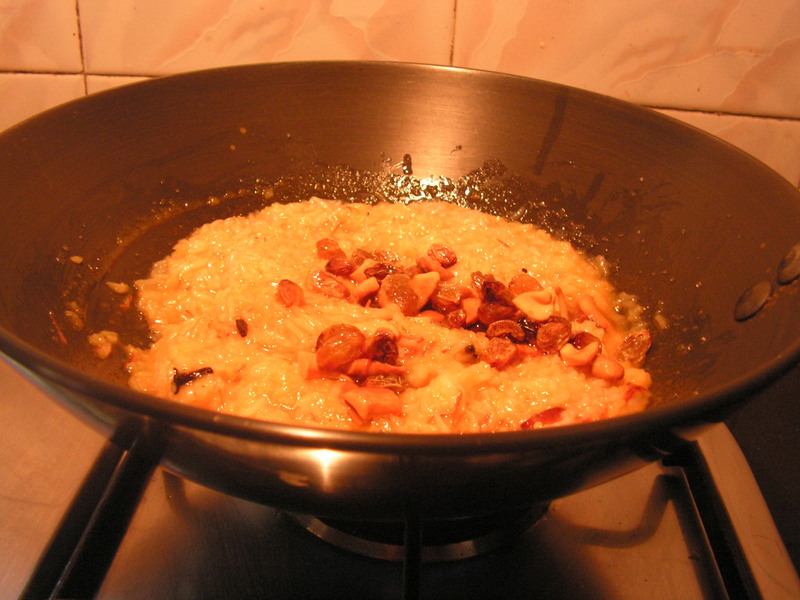 Place a wide skillet with 1 Teaspoon of cooking oil in it on low/medium flame. When heated add mustard seeds to it. 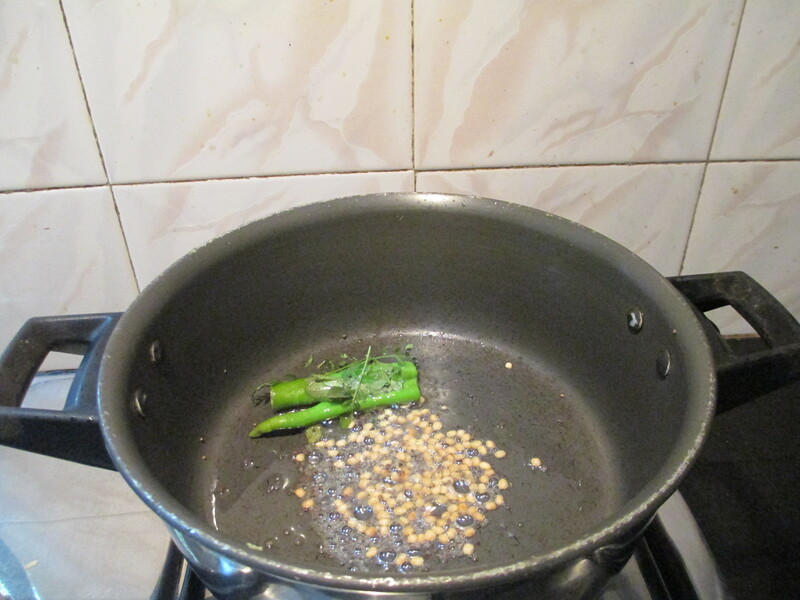 Once it starts spluttering add black gram dal to it. 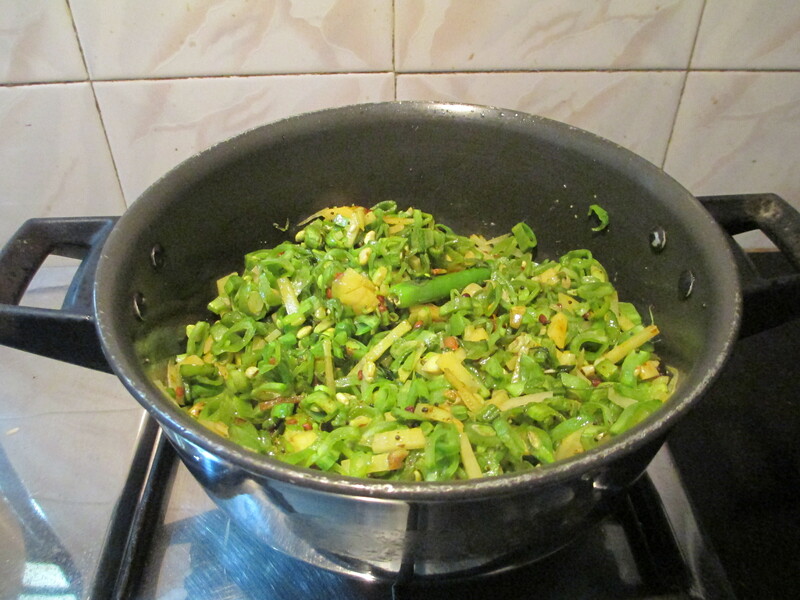 When fried add slit green chili, asafoetida powder and turmeric leaves to it. 3. 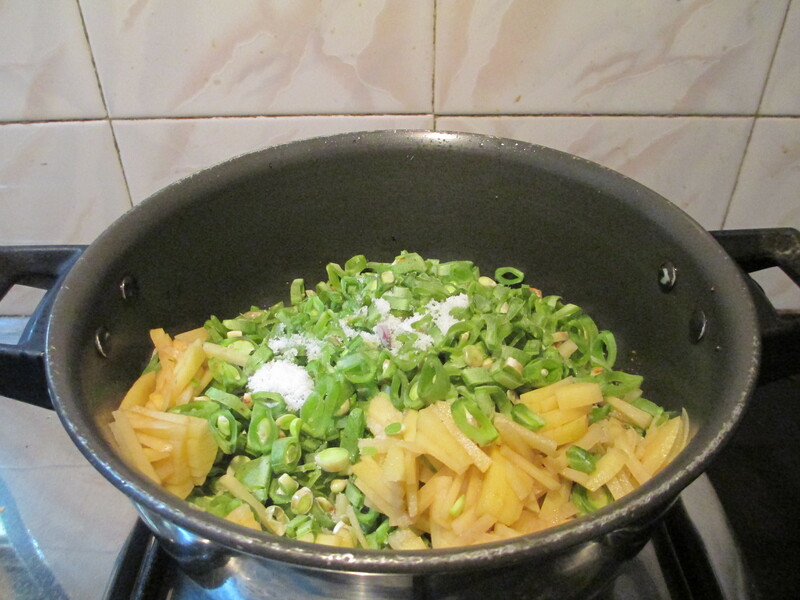 When done add chopped Broad beans and potatoes from step-1 to it . Add required quantity of salt, sugar and close it with a lid. Keep a close watch to see that if it is cooked every now and then so that it is not burnt. 4. Stir it with a spatula and allow it to cook till done. Note: 1. 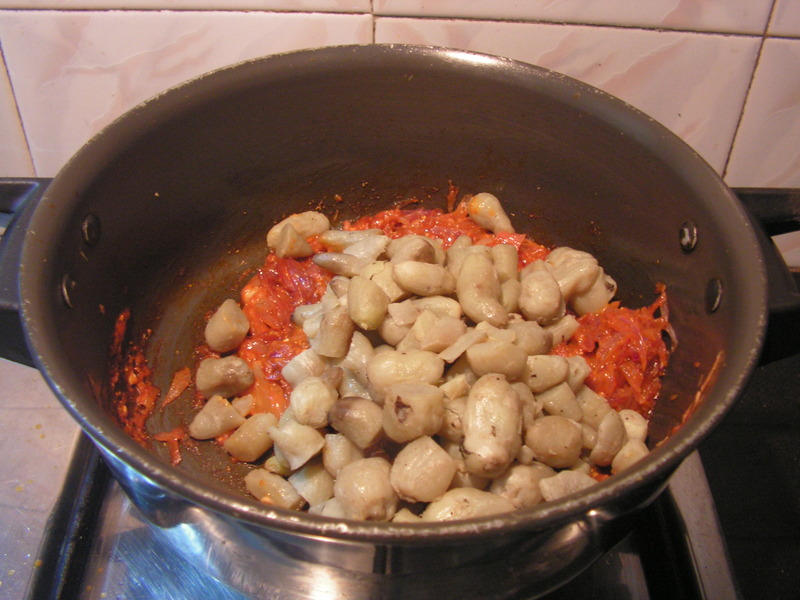 Use preferably fresh and tender veggie for the dish for best results. 2. Sugar is optional but gives an awesome taste to the dish. 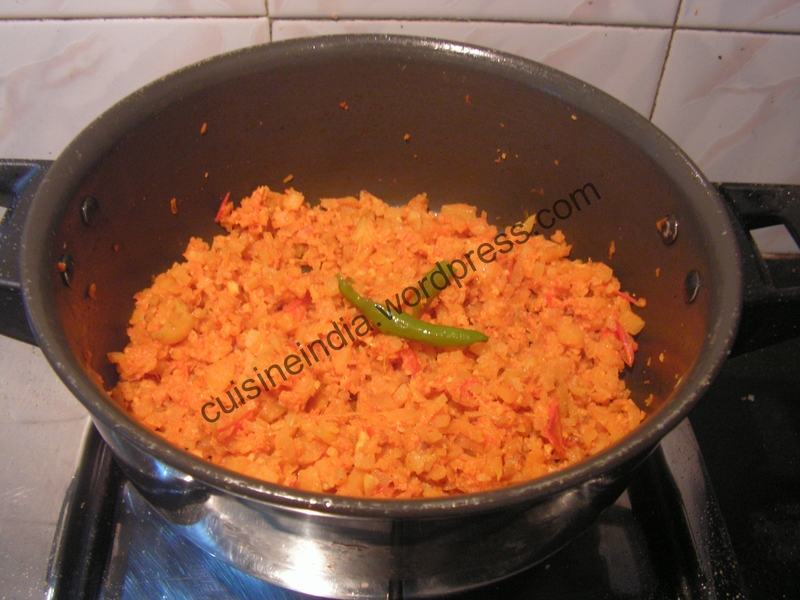 This entry was posted in Uncategorized and tagged Avrekalu/Surthi beans dishes, Konkani dishes, Lunch side dish. 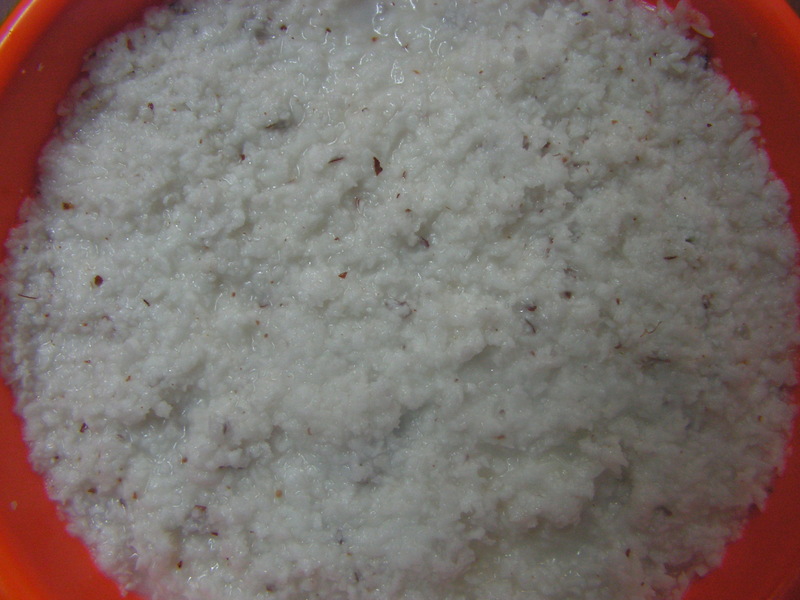 Usually Kesari bath is prepared with suji/semolina in almost all kitchens. But on special occasions like the wedding, house warming etc now a days this has again entered the menu list for sure. We have attended a couple of weddings and for one’s surprise the old conventional dishes like the “Chanedali kichadi”(sweet) and “Rice kesari bath” have made a come back. Of course these dishes are really tasty and healthy for sure but still the younger generation who might not have been aware of these dishes, they could be taken aback!!! 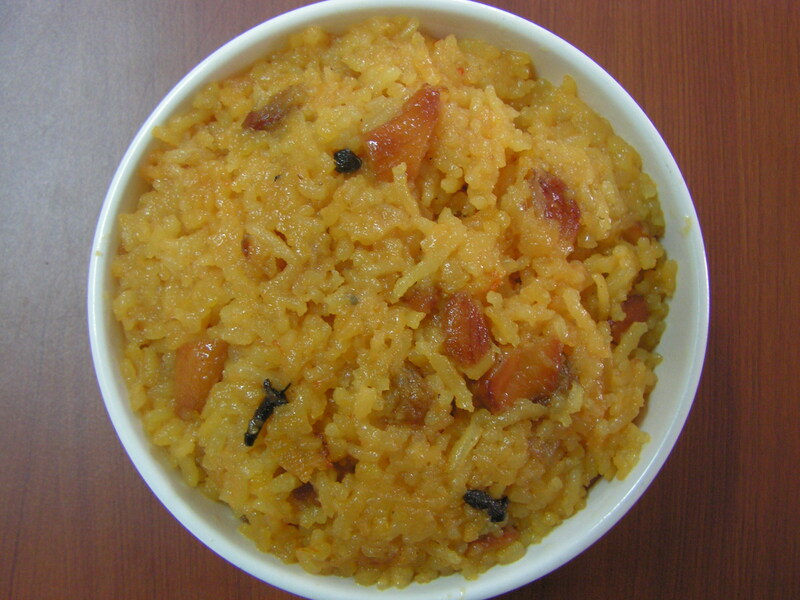 Here is my version of rice kesari bath…. 1. 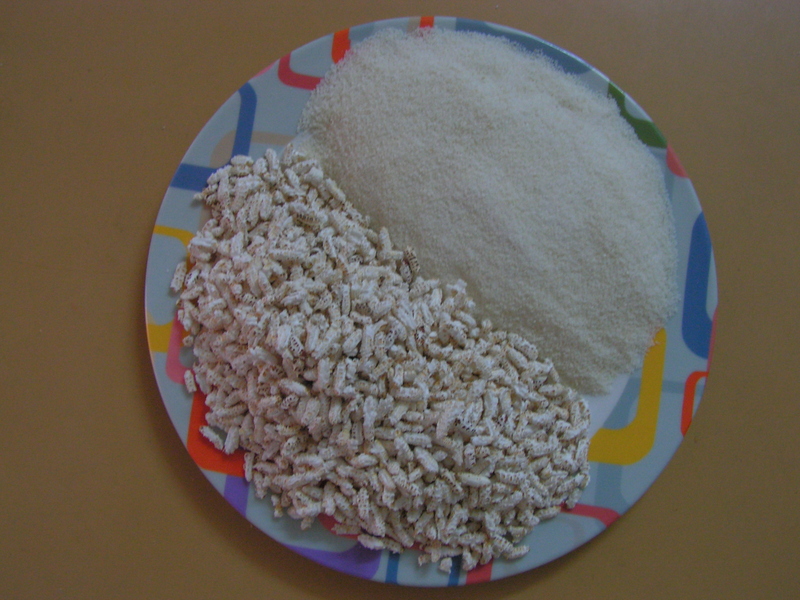 Wash and drain water from Basumati rice and keep it aside. 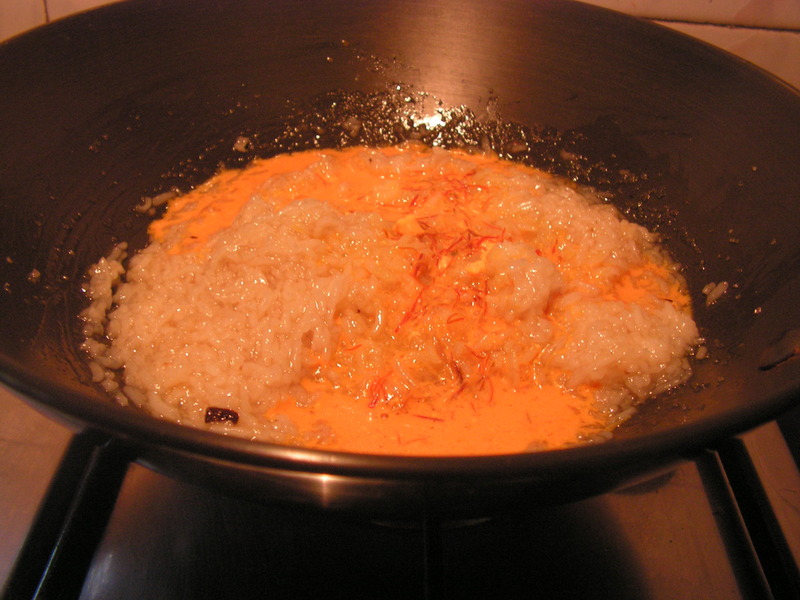 Soak saffron strings in a little warm milk so that milk gains the colour of saffron. Note: 1. 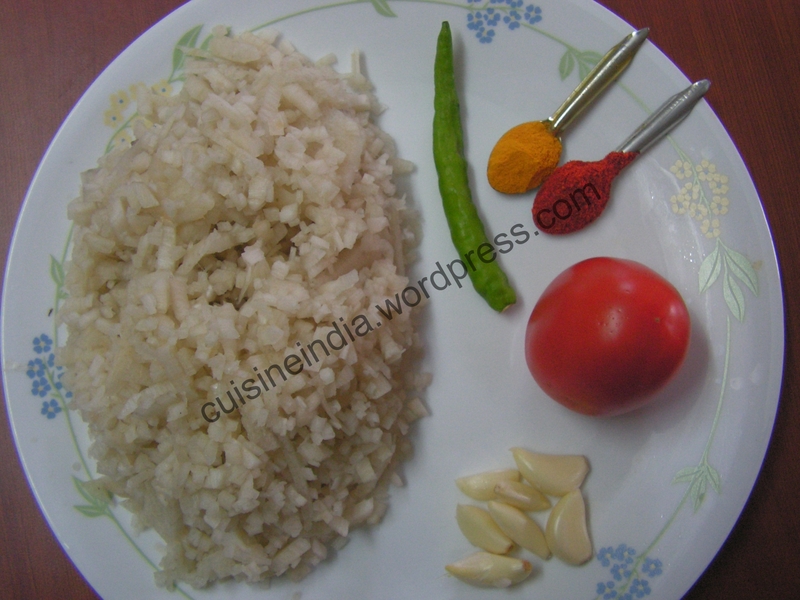 Use Basumati rice for better quality and flavour. 2. 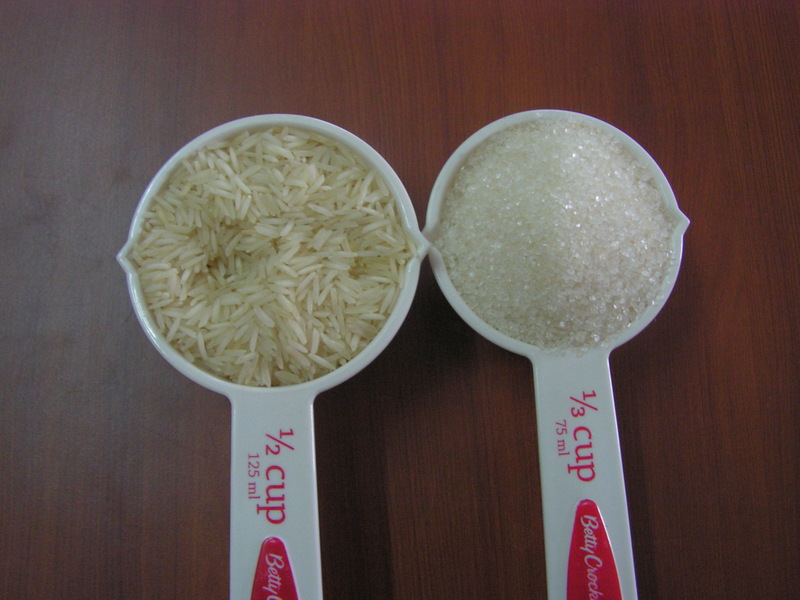 The quantity of water depends upon the quality of rice one uses for the dish. Please do not add the water at once. 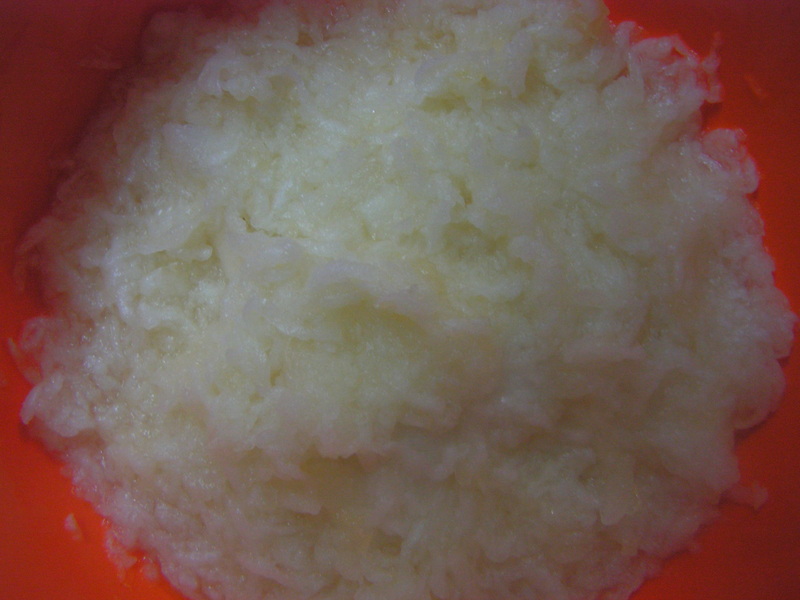 I cooked rice thrice as the water i added was not sufficient. 3. 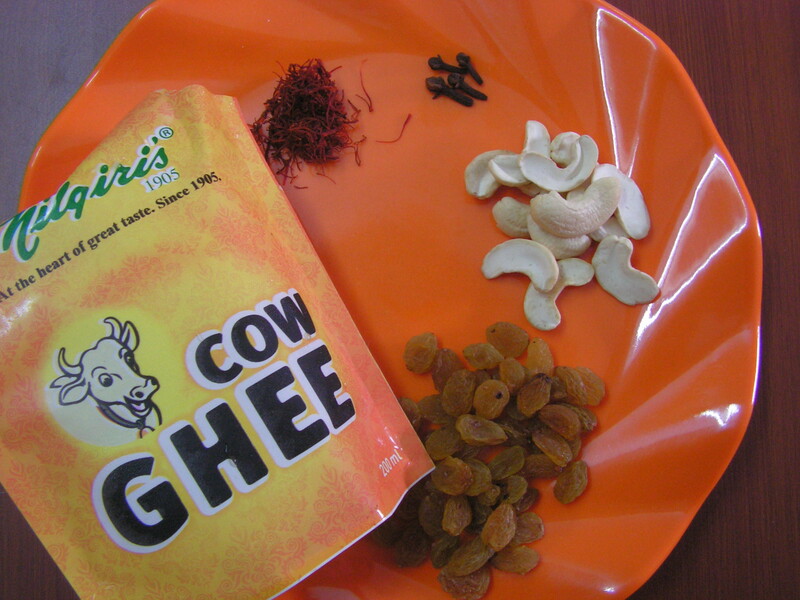 Any dry fruits of one’s choice can be used. 4. The quantity of sugar depends upon one’s individual taste. 5. 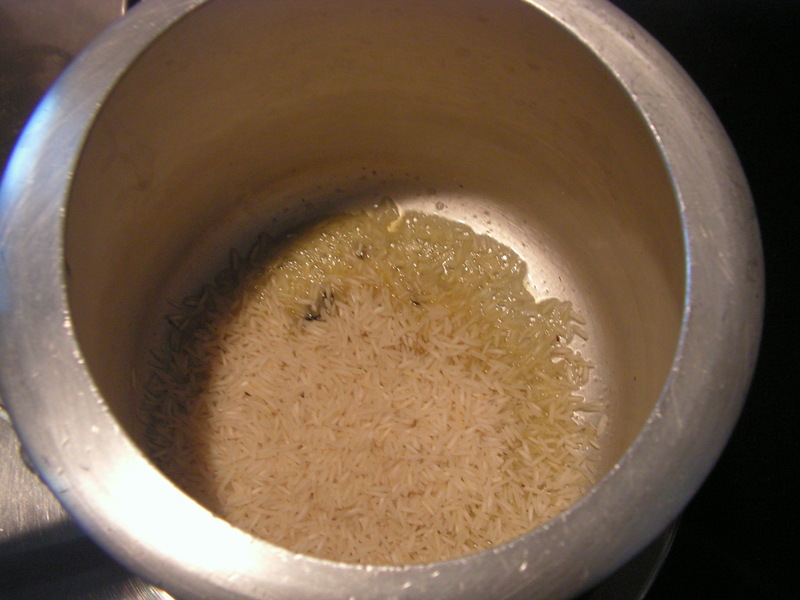 Please do not over cook rice. But make sure it is ideally cooked. 6. Some people use food colour which i do not prefer at all. 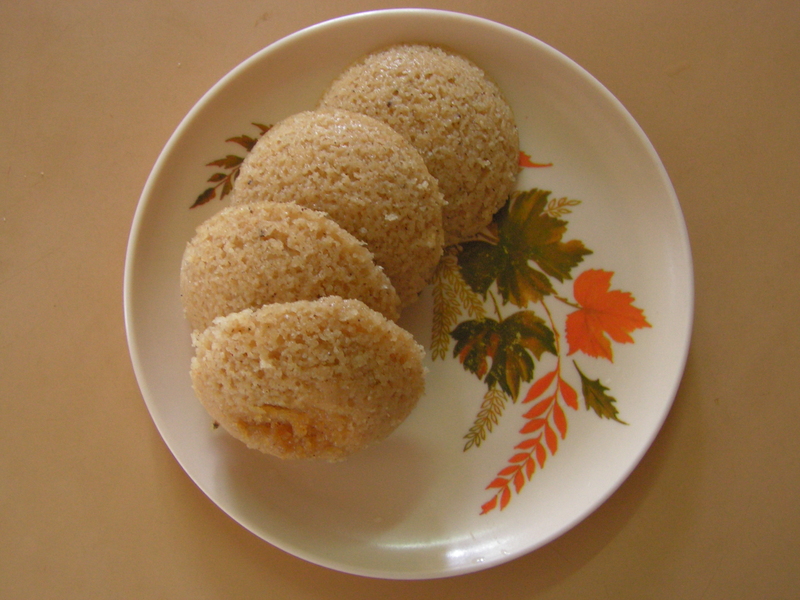 This entry was posted in Uncategorized and tagged Festivals, Konkani dishes, rice sweet dish, Sweets. 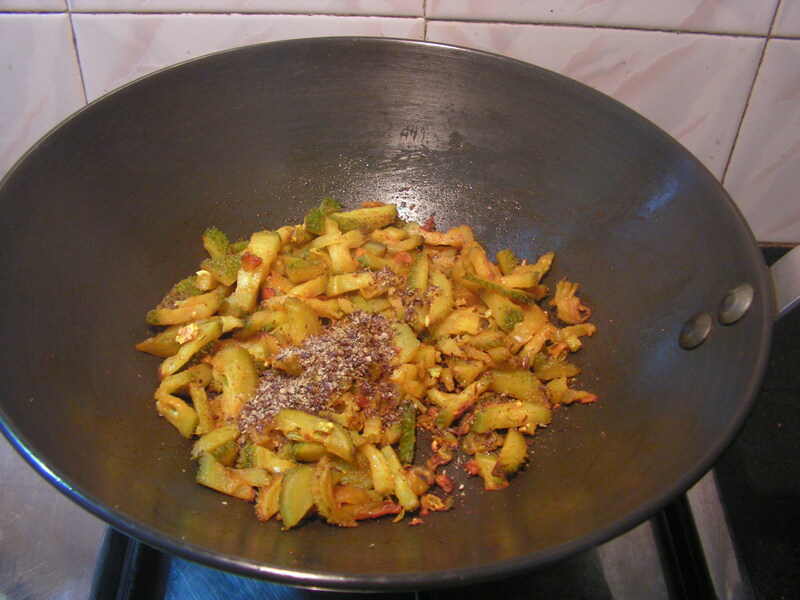 Kantolas/Spine gourd also called phagil is available only for a couple of months in a year. 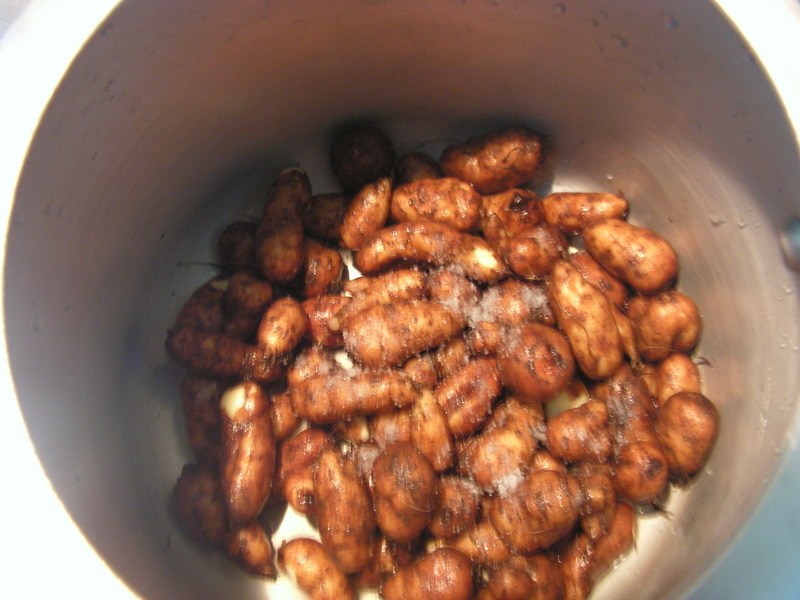 I have already put up Deep fried and shallow fried Kantolas and Phagila koot on my blog a couple of years ago. 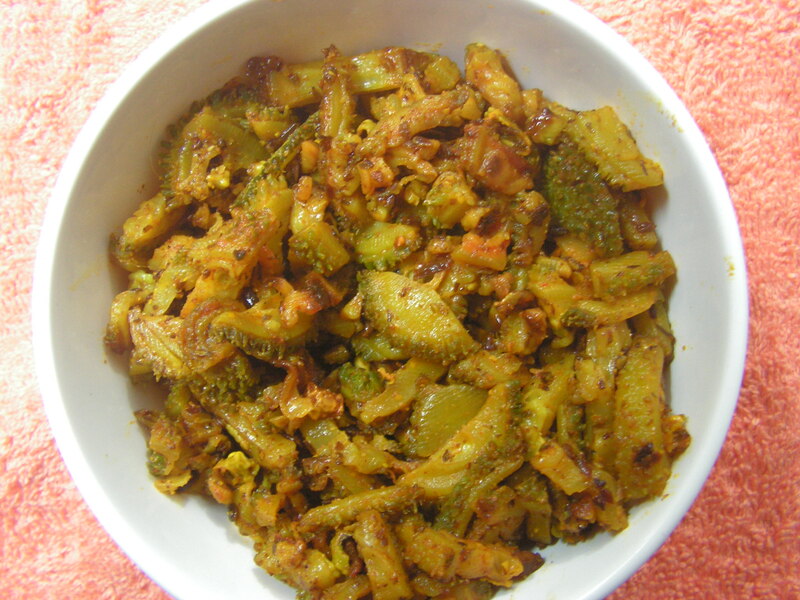 Today i would like to put up yet another recipe the tasty and crunchy stir fried kantola(garlic version). 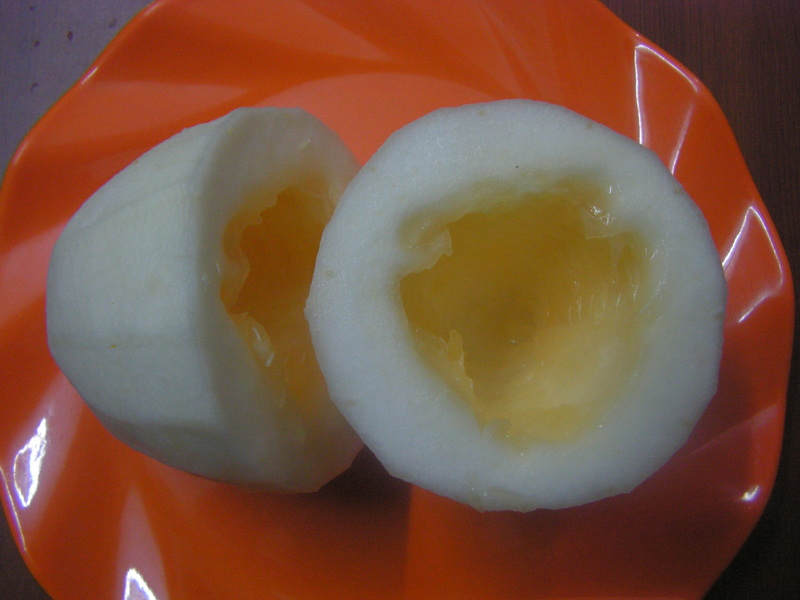 It is very simple yet yummy too.!!!! 1. Wash and dry roast flax seeds in a spatula till it splutters and powder it on cooling. 2. Wash and chop kantolas into bite size pieces after deseeding if any which are very hard to bite . Peal garlic and chop it fine and keep it aside. 3. 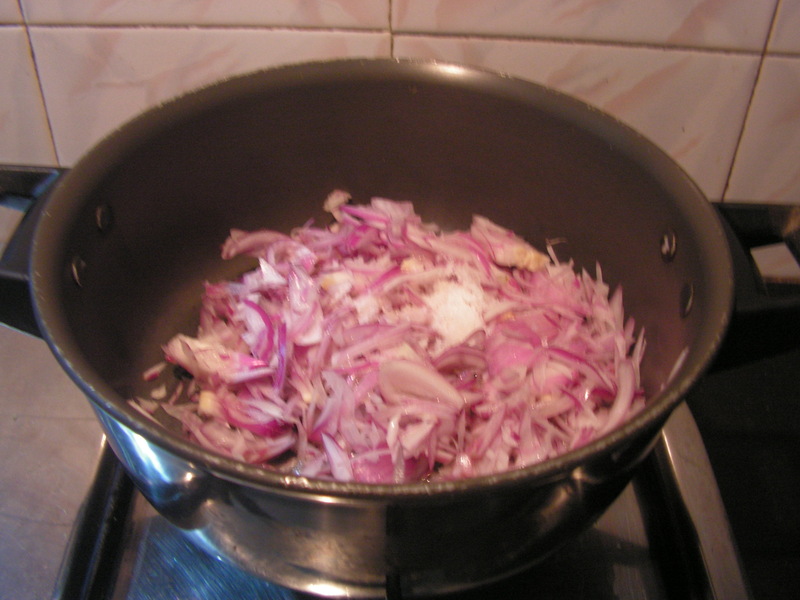 Place a skillet with 1 teaspoon of cooking oil in it on low flame. 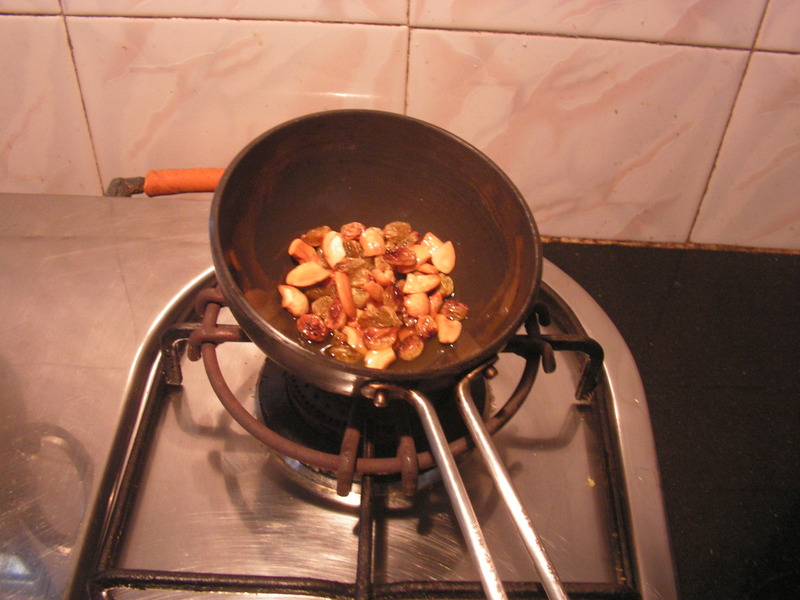 When heated just turn on flame to medium and add chopped garlic pods and fry till light brown. 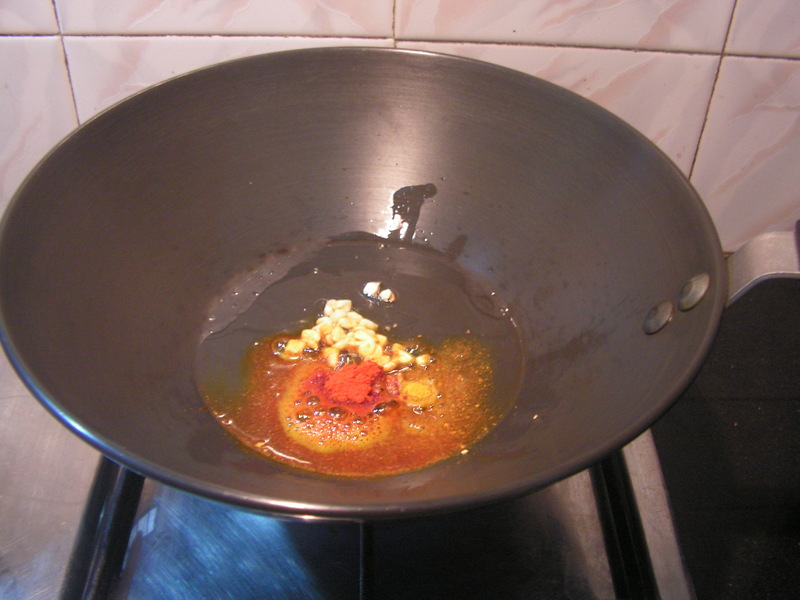 When done add turmeric powder, chili powder. 4. 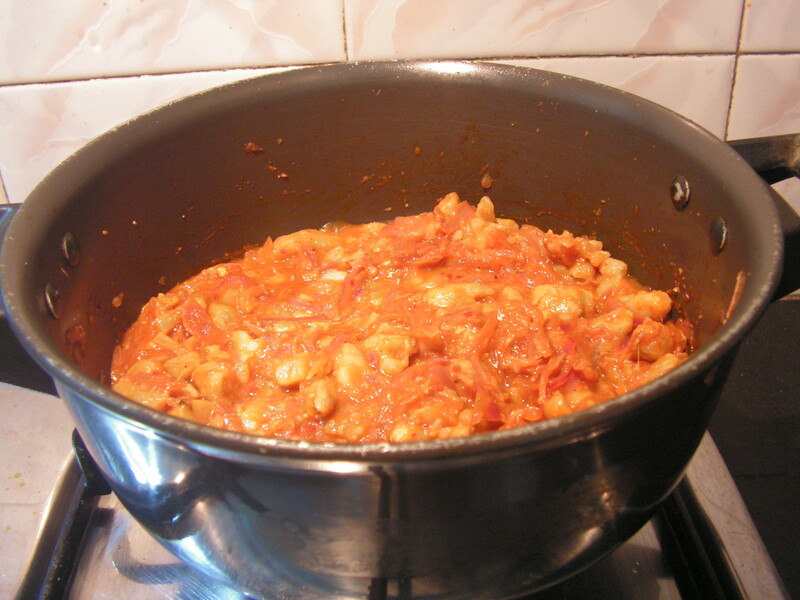 When done add chopped kantolas lowering the flame and close it with a lid allowing it to cook till done adding salt. 5. 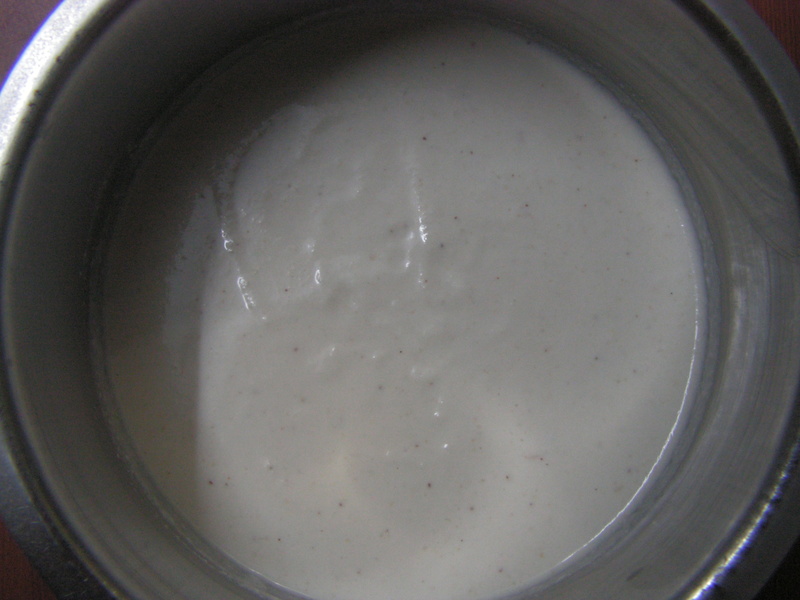 When cooked, finally add roasted flax seeds powder to it and just give a stir and is ready to serve. Enjoy it with rice and dalithoy!!!! 6. Transfer it to a serving bowl for a closer view of the dish!!!Yummmmmmmmyyyy!!!! 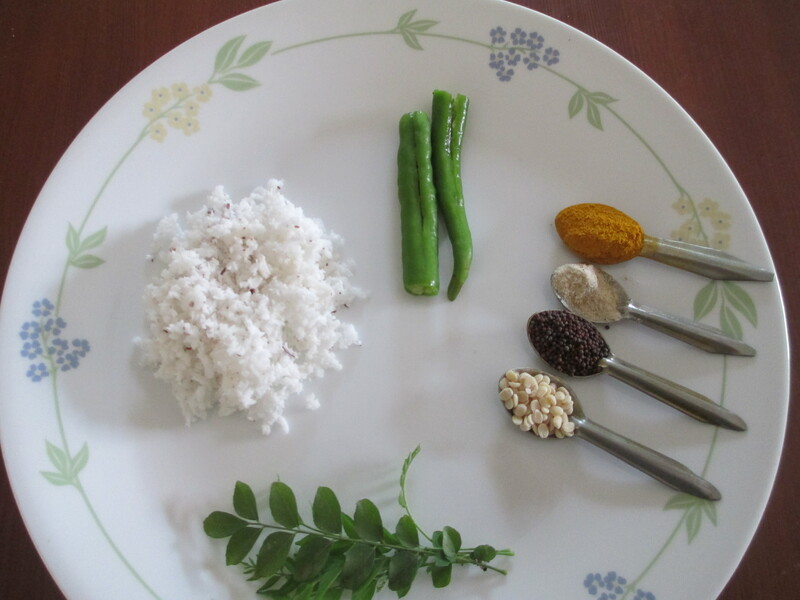 Enjoy with rice and dalithoy!!! Note: 1. 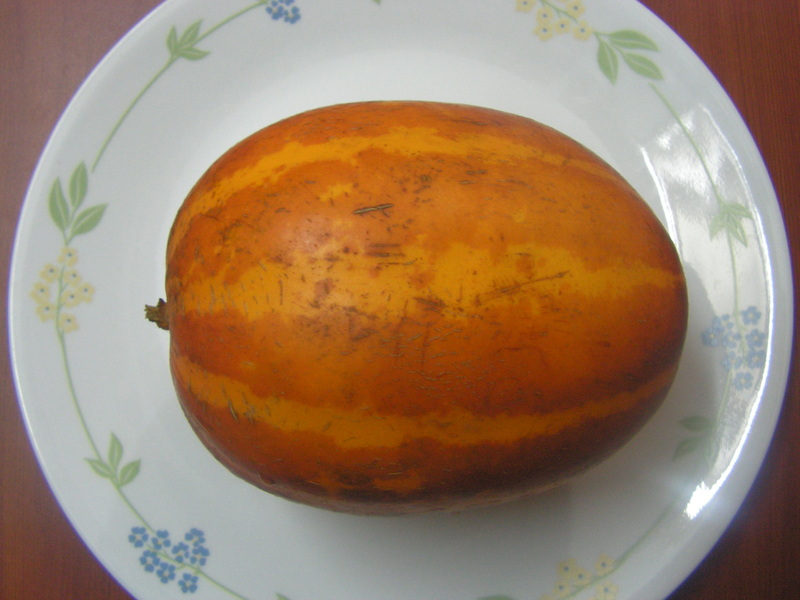 Kantolas are to be chopped and deseeded at times since the seeds are very hard to bite while consuming the dish. 2. Flax seeds powder gives unique flavour to the dish along with garlic for sure. 3. A best match with super “Dalithoy “. 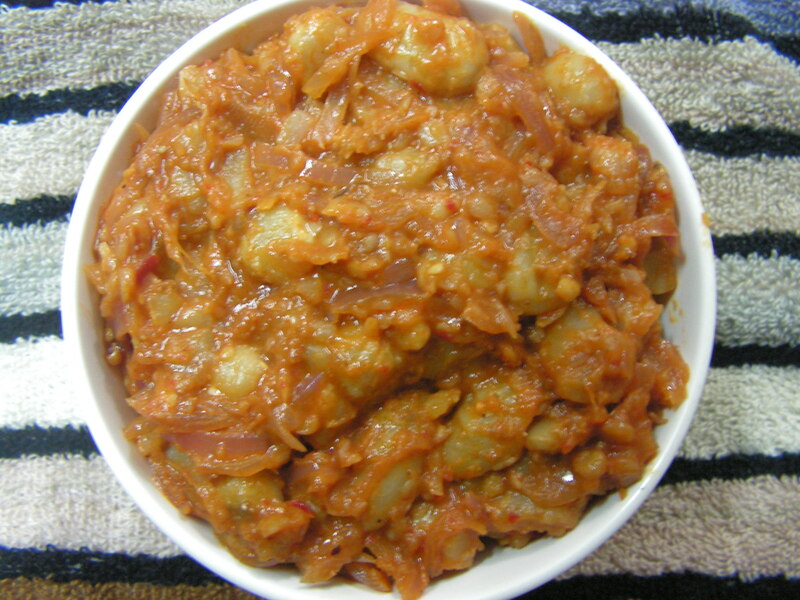 This entry was posted in Uncategorized and tagged Konkani dishes, Lunch side dish. 1. Chop banana stem fine after removing threads from it, peel garlic, slit green chili and keep it aside as shown in image 1. 2. 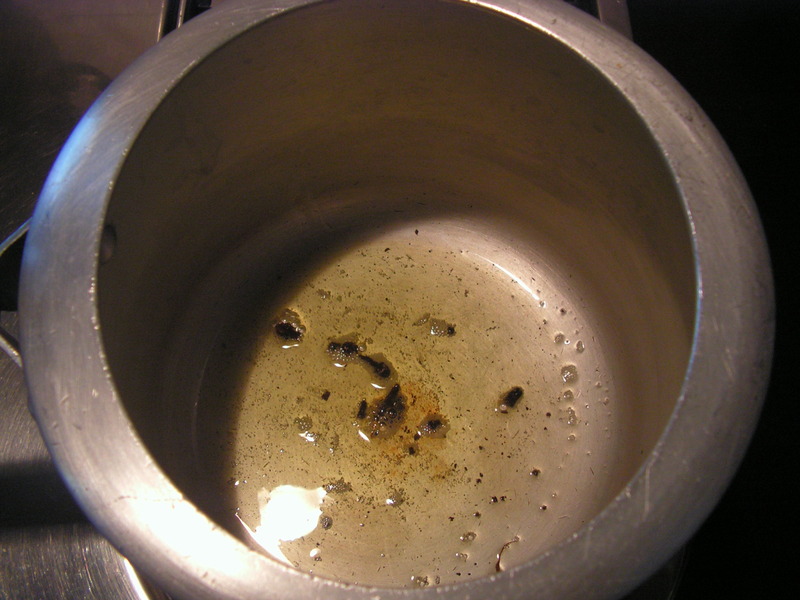 Place a skillet with a teaspoon of cooking oil in it on low flame. 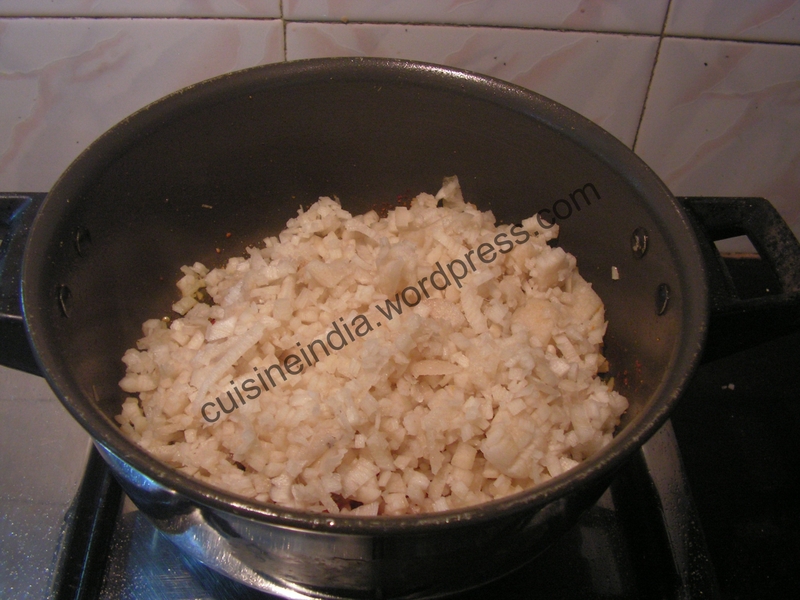 Add crushed garlic to it and fry it till light brown. 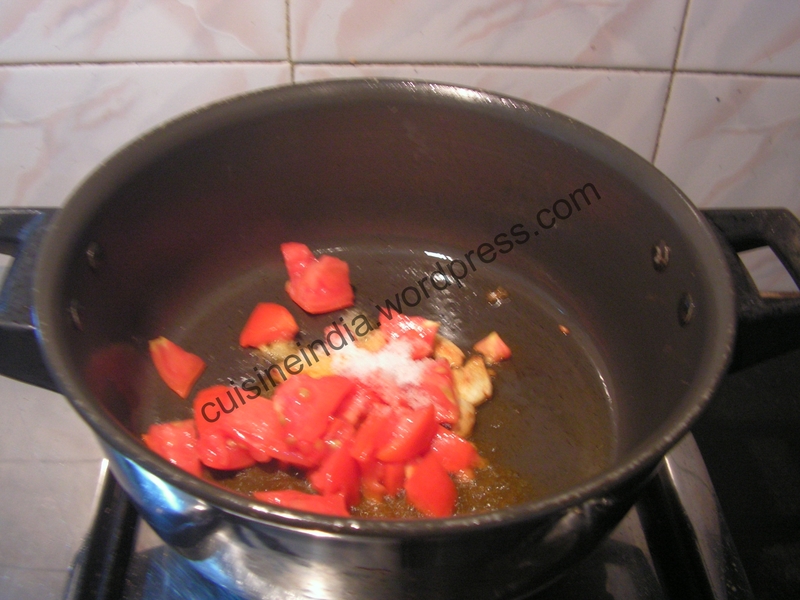 Add chopped tomatoes to it and fry it till mushy adding required quantity of salt to it. 3. When done add green chili and all powders in a row to just stir it. 4. 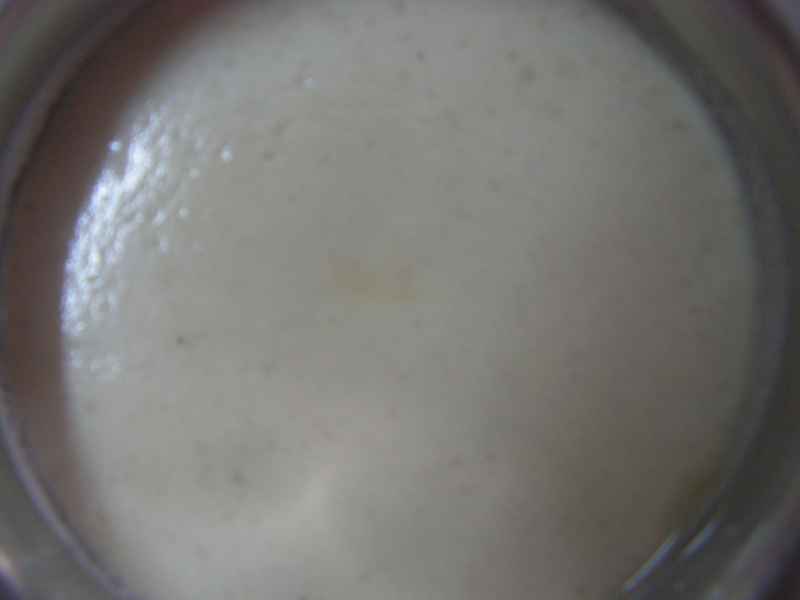 Finally add chopped banana stem and let it cook till done closing it with a lid and checking it frequently. 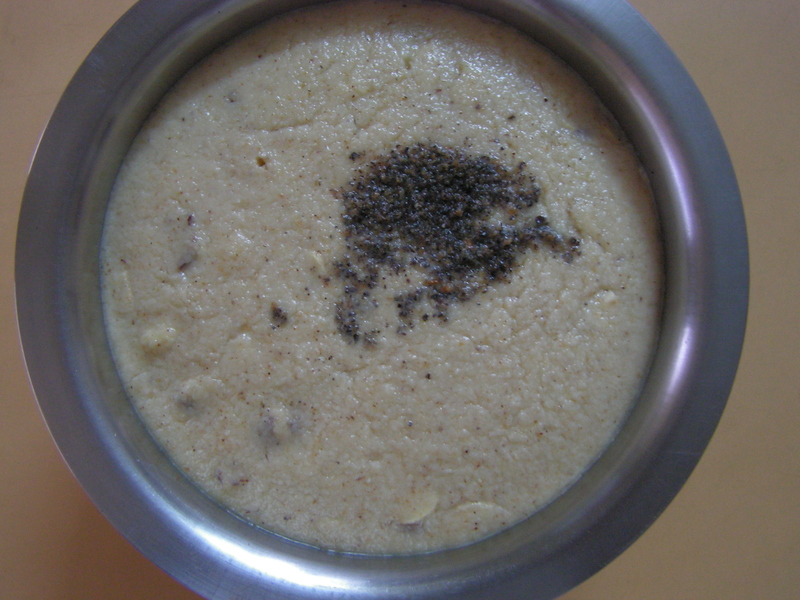 Enjoy with rice and dal even though very simple and tasty ! 1. One can even add Dhania-jeera powder if needed. 2. Banana stem should be very tender and should be chopped fine to cook faster. 3. 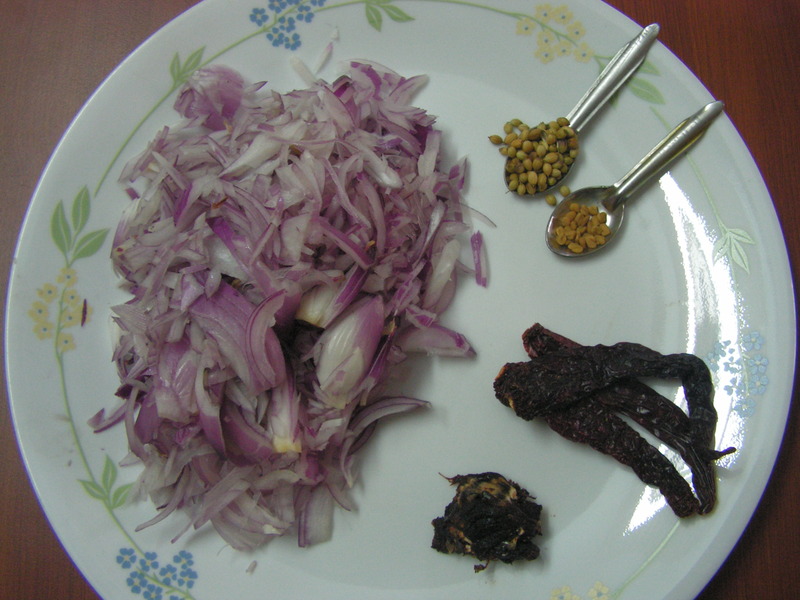 Yet another option is to add jeera and asafoetida powder instead of garlic for this dish for seasoning.